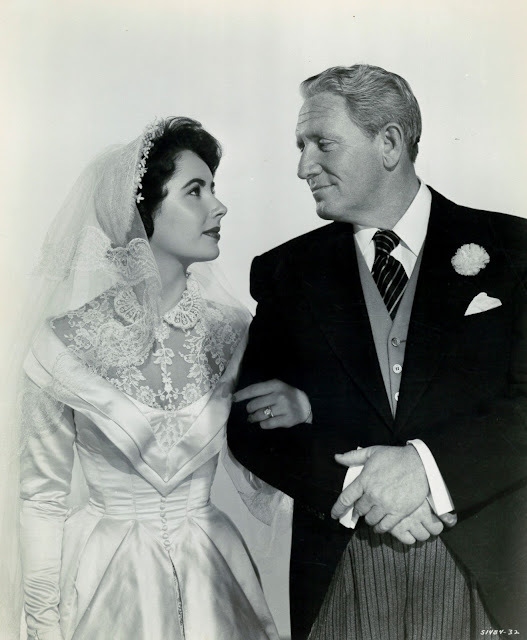 Spencer Tracy had done some weak ones and a try at Broadway when this came along to hand him a bigger-than-ever hit and career definer. You sense it in his opening speech, this moment when a mass audience identified closest with Tracy's everyman. His Father was the character most would recall ST best for, so many having been in the pickle he portrays here. Father Of The Bride is genteel comedy; sometimes you wish they'd bust out with a little slapstick, and maybe that's what makes so refreshing the nightmare of Tracy entering rubber floors of the church and losing trousers as he struggles up a dream-sequenced aisle. That's the scene often excerpted, certainly a most imaginative in a show played in surprisingly long takes. That's no bad thing, of course, with a pro like Tracy to command eye/ear. He turned fifty that year, aging same as the century, more severely as his fifty looked sixty, fifty-five like seventy, and so on. Spence's weight was up too; he liked sweets and wouldn't forfeit cake and ice cream when offered. Fun, then, to see him devour it here --- I'd bet he made them serve the real thing and asked for repeated takes. Tracy was one of the actors who'd really eat when scenes called for it, lesser lights faking bites to avoid interference with precious lines. Father Of The Bride is heavy on upper-middle-class 50's lifestyle; dissertations could come of close study (have they already?). A lot of social drinking goes on --- I wonder if the PCA made noise over that. The wedding itself plays like sacred ritual, which is what such ceremony is supposed to be, of course, but this is religion in terms of spending and show; heaven knows the number of nuptials that were staged after Father's fashion. 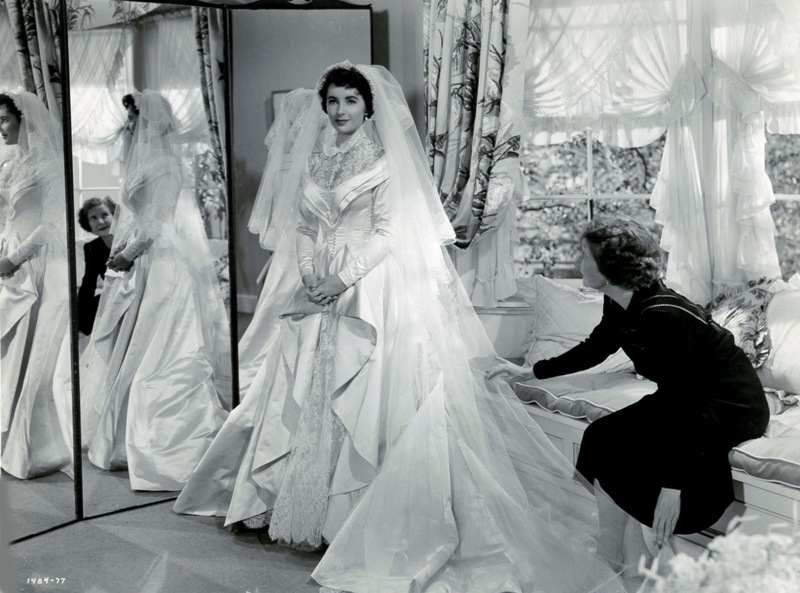 Father Of The Bride handed MGM their biggest 1950 hit after King Solomon's Mine, a fantastic three million in profit, and no wonder plans were immediate for a sequel, Father's Little Dividend repeating success in terms of two million gained. Wow...home timely for me personally. I am the father of the bride in two weeks as my baby gets her own Buckley Dunstan. Hope I hold up better than Spence. 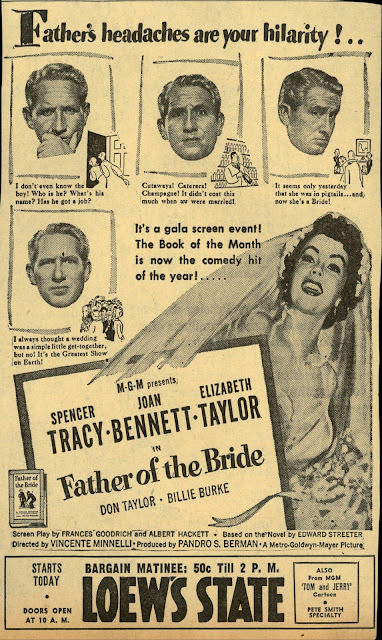 Interesting that Tracy is featured so prominently in the advertising (title-role aside), as it was always my understanding that property was bought and rushed into production to capitalize on third-billed Taylor's near simultaneous nuptials with Nicky Hilton, her wedding details (gown, guest list, food) having been a public preoccupation foe months. Obviously a pretty small narrow slice of the population would identify with Tracy's woes in this one. 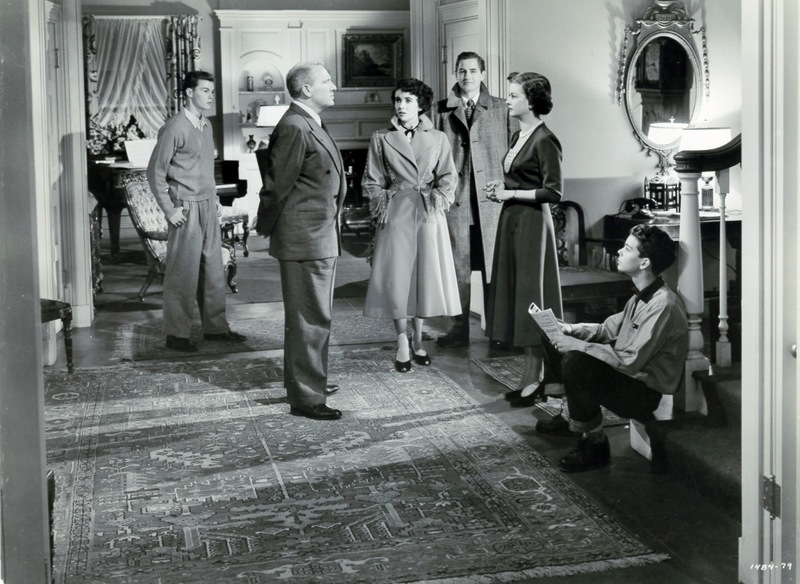 Was the upper middle class a goodly slice of theatergoers at this time, or did most of FOTB's audience view it much as they viewed movies about millionaires?